We truly believe businesses hold an important leadership position and should always look for ways to give back to the local communities they service. 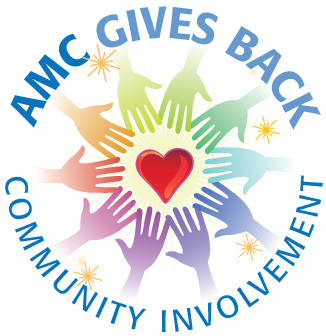 Since 2001, A.M.C has been a long-time supporter of two very important non-profits in our area through our Annual Golf Classic Tournament: Variety – The Children’s Charity and the Center for Creative Works. Variety – the Children’s Charity of Greater Philadelphia – Beginning in 1935, this organization has worked to achieve its mission to build independence and self-confidence in children & youth with physical and developmental disabilities. Variety takes pride in providing programs and services to special needs children that include: Variety Club Camp/Development Center, Direct Care for Kids, After-School Programs, and Scholarships. The Center for Creative Works is a unique, creativity-driven vocational arts program for people with intellectual disabilities. CCW builds opportunities for artists to earn money through their exceptional work, and believes that “in art, there is no disability”. CCW supports the vision of our artists and welcomes the larger public to experience the talents, skills and contributions which our participants offer to their communities through their art and design work. We invite our partners, clients, and anyone in the community to get involved and help us make this event as strong and impactful as it can be! Sign up for news about upcoming events and how A.M.C. continues to give back to the community.